Oliver Tate (Craig Roberts) is a Swansea schoolboy with a wild imagination and a desire to be important. He imagines the response at his school if he died, with students openly weeping. He also spies on his parents Lloyd (Noah Taylor) and Jill (Sally Hawkins) regularly. He’s worried that they might be falling apart. At school he catches the attention of a girl that he likes, Jordana (Yasmin Paige), by bullying another student. When someone starts picking on him though, he nobly refuses to say something nasty about Jordana in front of the school. They start dating each other and Oliver holds high expectations for their relationship. He also becomes increasingly convinced that his mother is having an affair with their ninja neighbour Graham (Paddy Considine), who is an ex-boyfriend of Jill and also a motivational speaker. Oliver is determined to resolve his parents’ marriage problems himself. 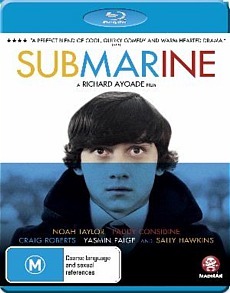 Submarine, written and directed by Richard Ayoade from Joe Dunthorne’s novel, is three-quarters of a great indie film. This is a sharply observed black comedy and coming of age story, built from great energy and a script that is brimming with clever details. The centrepiece of this film is the creation of this bizarre, nosey and self-absorbed teenager. And what a clever creation Oliver Tate is. He’s such a fun character and a perfect vessel for the film’s entirely quirky and very cynical dialogue. The hysterical opening vision of students lighting candles in remembrance of his hypothetical death perfectly visualises the bizarre and hilarious mind of this egotistical and obsessive protagonist. That was one of the most unexpected, original moments and that made me laugh a lot. There are so many quotable lines and memorable little quirks, like the way Oliver measures his parent’s love life by how much they’ve turned the light switch, or when he describes his pipe and hat phases. It can gently nudge everyday life for people in this community because Ayoade has great eyes and ears for personality. I love all the attention he applies to all of his characters, not just the protagonist. Lloyd is, for example, a biologist who remembers random facts like the exact depth of the ocean and in the family dining room you’ll notice the huge fish tank. There’s also a funny moment where Oliver remembers his dad spoiling every Christmas by saying what the presents are before someone has unwrapped them. All of the jokes here are smart because they have the purpose of building character. It is a shame that we’re only gifted so many intelligent comedies like this a year. There's more than a hint of Wes Anderson about the film and coincidentally Ben Stiller is credited as one of the film’s executive producers. This film doesn’t need to ‘wink’ with its humour. It’s confident in relying on its own quirkiness and straight-faced deadpan mood to provide us with the laughs. With so many big laughs in the first half I wished the film was more consistent, particularly in its final quarter. The cracks in the script’s structure appear as the film mistakenly introduces a belated subplot involving Jordana’s sick mother. It’s at this point that the pacing and some of the laughs slump too. Dramatically not a lot happens in the film either, which is partially its point, but it also means that some of the climaxes feel very contained. Nevertheless, the film treats you to a great example of deadpan acting. The comic timing of Craig Roberts in this film is brilliant. His character is self-important and self-absorb but he still has heart. He just has to learn that he doesn’t need to solve everything himself. 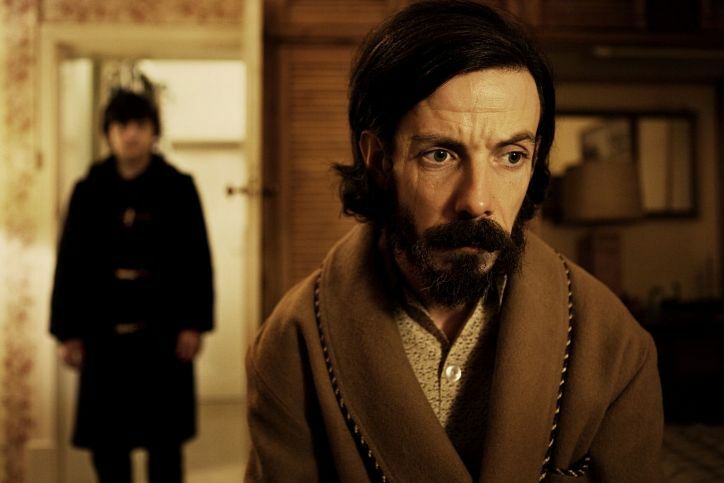 Noah Taylor is also wonderfully reserved as the droopy faced Lloyd. One of his funniest scenes is when he tries to give his son dating advice and then provides him with a double sided cassette of songs to listen to: one for the good times and the other side for the eventual breakup. These actors have been finely directed by Ayoade to be in sync with the films controlled tone. Even though this is a small and imperfect film I hope a lot of people see it for its wit, its humour and its imagination.